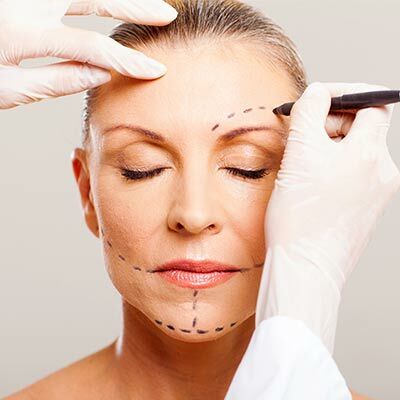 Surgical Aesthetics is a London Plastic Surgery clinic founded upon the skills of Cosmetic Surgeon Mr Jan Stanek FRCS who has been at the forefront of his profession for the last 30 years. Abdominoplasty (tummy tuck), arm lift, thigh lift, liposuction, gynaecomastia (male chest reduction), belt lipectomy and more on offer at our London hospital. Face lift, neck lift, fat transfer, blepharoplasty (eyelid surgery) and rhinoplasty (nose job) are amongst a few of the cosmetic procedures we offer. Jan Stanek is considered one of the leading cosmetic plastic surgeons in his field. Having graduated from Oxford University, he has gradually built his own private practice in London over the last 30 years. Breast augmentation (breast enlargement with implants), breast implant removal or exchange, reduction, mastopexy (breast uplift) and more.